Why Fish with WCA? – WorldCast Anglers holds commercial operating permits on the premier water in the area. This enables us to serve our clients in the respects that we can give them a unsurpassed experience with the excellent water that is fishing the best during their time with WCA. 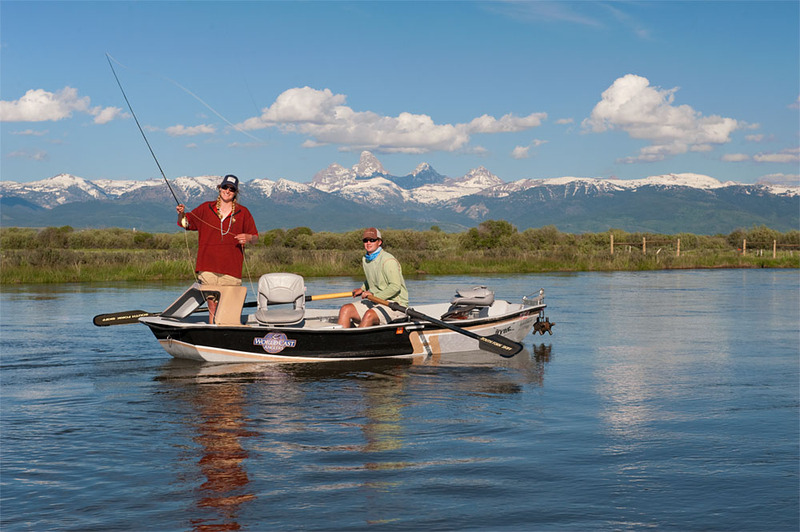 Whether that may be wading the famous Railroad Ranch of the Henry’s Fork, fishing the adrenaline pumping white water of the Teton Canyon, casting Salmonflies on the South Fork or floating below the mighty Grand Teton on the Snake River, your booking is solely with WorldCast Anglers; no third party relationships are used. The Best Water in Eastern Idaho and Western Wyoming. Why Fish with WCA – the answer is clear. At WCA, we serve our clients based on their identified fly-fishing needs and preferences. We measure success by meeting and exceeding our client’s expectations on and off the water, whether you are a first time beginner or a seasoned expert. We listen to our clients to build our trips and match you with our guides to create an experience based on expectations, needs and wants. Our staff and guides are always professional. The WCA professionalism is the product of training, education, experience and synonymous with our code of conduct. We are serious about safety as safety is our paramount concern for guides and clients. All WCA guides have completed the Western Rivers Guide School; an intense seven-day course, which takes place on our immediate rivers and watersheds. During this school, our guides have been educated, trained and critiqued by some of the most experienced and knowledgeable guides in the area. The Western Rivers Guide School is the oldest guide school in the country.